Enjoy the beautiful island of Naxos! 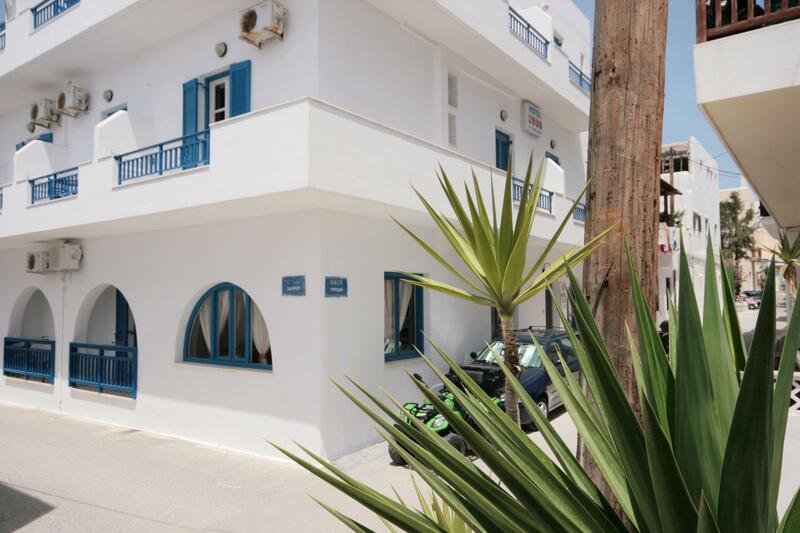 Zeus Hotel is located in a quiet spot in the area of Agios Georgios in Naxos Town, just 150 meters from the beach and offers a warm and friendly atmosphere for a relaxing holiday on our beautiful island Naxos. 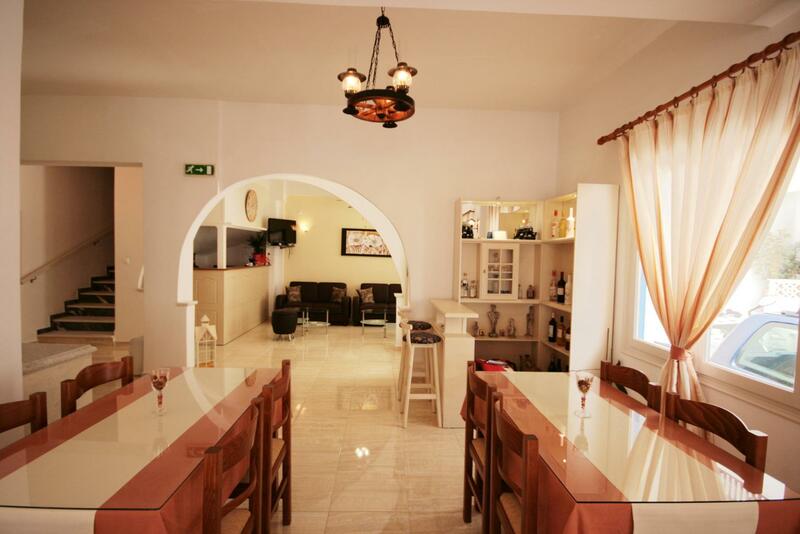 Zeus hotel is only 150 meters from Naxos Chora's main square, which includes restaurants, tour operators, car rental, internet cafe, shops, mini markets. This resort is a 3-minute walk from the beach. Just a few steps away from the beach of Agios Georgios, Zeus Hotel offers air-conditioned rooms with free Wi - Fi and a balcony or terrace. The center of Naxos Town is just 200 meters away. Zeus 's bright, airy rooms are equipped with a TV and a mini fridge. Each includes a private bathroom with shower or bathtub. A continental breakfast is served daily in the hotel's dining room. Hotel Zeus also features a TV lounge. Room service is provided. In the area of Agios Georgios, which is just a short walk away, you will find plenty of beach bar, restaurants and water sports centers. Free private parking is available nearby.